Tottenham Hotspur manager Mauricio Pochettino admits that he is confused by Brexit, likening the current political approach to an impending car crash. 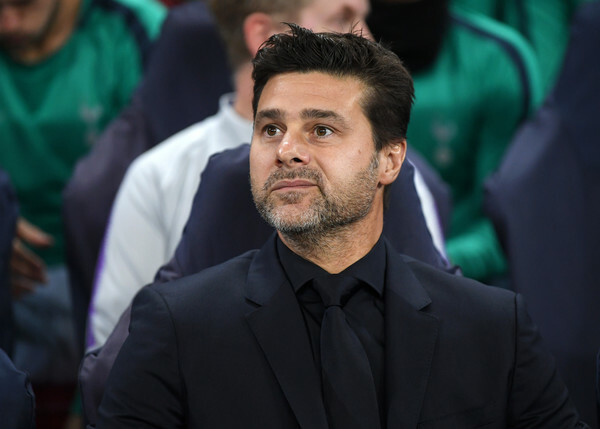 Mauricio Pochettino, Manager of Tottenham Hotspur looks on during the Group B match of the UEFA Champions League between Tottenham Hotspur and FC Barcelona at Wembley Stadium on October 3, 2018 in London, United Kingdom. In 2016, the people of the United Kingdom voted in favour of leaving the European Union, in a decision which has proven to be one of the more controversial moments in the recent UK history. However, the road to Brexit has been an extremely complicated one with plenty of uncertainty clouding Britain's future independent of Europe. Many have argued that there should be a second Brexit referendum due to the fact that the majority of Britons would now rather remain in the EU. Speaking to reporters, Pochettino said if another referendum took place, he would not know which way he would vote. If I need to vote in or out (again), I still don't know what the best decision for us will be. If you're going to vote, it's because you believe it will be good for you and the people you love - your friends, your country, everyone. But still after two and a half years, we don't know. For me, the most important thing is to apply common sense. If now the politicians realise it will be tough and it will be bad for England, why not go back and explain "this is what is going to happen?" It's like doing nothing when you are going to crash [your car]. If I'm going to crash but Jesús [Pérez, Pochettino's assistant] is saying "come on, come on, push, faster". No! Stop! And the Argentine boss believes the politicians should be the ones to decide on these matters, just as he is the man in charge of choosing ​Spurs' lineup for matches. I feel so sorry because it's a situation that should be dealt with by the people who have all the information, who know the reality. How the people translate the reality is another thing, because if some people are against or for Brexit, they manipulate everything. It's not fair to put the decision on us, because afterwards there are consequences. But we don't know (what is going to happen). We buy an idea. Someone tells me it would be good for my son, my family, myself, and then if the consequences are different then you [the voter] are the guilty one. That's what I don't like. If I am responsible for picking a starting XI, I need to take the responsibility. I cannot ask the fans who we should play. I know the consequences if I don't pick right and get good results, but it's so unfair to put the responsibility on the people. It's such an important decision and it's a very serious problem, that situation. After two and a half years, I think 99 percent of the people of this country still don't know if it's good, in or out. Pochettino is the second Premier League manager to criticise the referendum after Liverpool boss Jürgen Klopp said Brexit makes no sense and the United Kingdom should be able to vote again.